Let me state for the record that there should be no federal Corporate Average Fuel Economy (CAFE) standards. If States wish to regulate themselves to death, let them. Despite my misgivings that these types of federal regulations are unconstitutional, if CAFE Standards are to become law, they should, at the very least, have to be passed by Congress, where all laws must originate. That being said, the last time Congress passed a law which included fuel efficiency standards was 2007 – more than a decade ago. Congress first established CAFE standards in 1975. They set the average fuel economy of the new car fleet to 27.5 mpg by model year (MY) 1985. Then, under “conservative” George W. Bush, Congress passed and the president signed the Energy Independence and Security Act of 2007. Don’t you love the bogus names they give these egregious pieces of legislation? This week, the Trump administration announced that it would revise President Obama’s draconian auto fuel economy mandates. That alone is big news. But it marks the near total reversal of Obama’s anti-growth domestic policies. That’s bigger news. EPA head Scott Pruitt said Tuesday that the administration would rewrite Obama’s fuel economy standards starting with model year 2022. 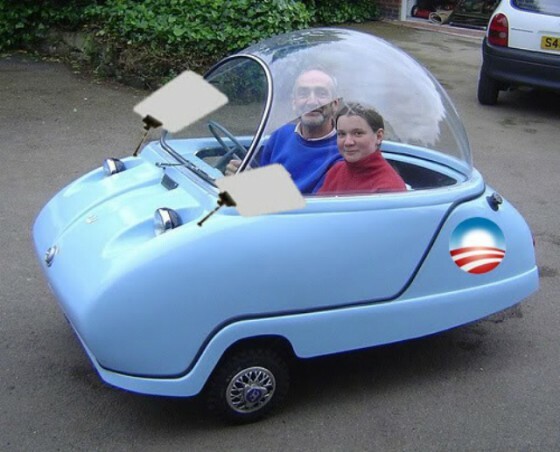 Obama’s plan was to mandate that all cars sold average 54.5 miles per gallon by 2025, up from 38.3 mpg this year. As we have repeatedly explained in this space, Obama’s fuel economy mandate was little more than a thinly disguised electric car mandate, since hitting that level would have required a substantial increase in plug-in sales. As it stands, there are only a handful of powered cars that can go more than 54 miles on a gallon of gas. As he promised, Trump and his administration will seek to roll back Obama recently enacted auto fuel efficiency standards. Obama, in his want to drive the auto industry into ruin as he attempted to do to the energy industry, firmed up CAFE rules just one week before Trump took office. But so-called experts claim that it will be difficult, if not impossible to roll back Obama’s regulatory rules. Of course it, because that’s how they write them. Make it easy to institute and impossible to rescind. You may have seen pictures of Elon Musk, CEO of Tesla Motors, playing amateur daredevil as he tried his hand at wing walking the other day. Yes, he’s happy-go-lucky, living high on the hog – his coffers full of government largess. That’s a pretty bold and honest statement. Let me rephrase that. It’s a pretty bold statement, for to be honest, Musk’s company depends almost entirely on the generosity of us ignorant taxpayers, in one form or another. They don’t sell many cars, and the money they do make is through a myriad of tax credits and other government giveaways. It’s a great scheme and the model for crony corporatism. Although it’s been going on for years, it seems lately there is an all-out assault by the nanny government to crack down on our liberties. In any normal, liberty loving society, when the people push back, there government is supposed to acquiesce to their (our) wishes. That’s the way it’s supposed to work. Government is supposed to serve the people. But we all know that’s a joke – a sick joke, with a bad punchline. Nowadays, when the people say no, our rulers just do the old end around, or sleight-of-hand. They cause us to concentrate on one thing and do another behind our backs. Lately it seems that even this tactic has changed and the Nanny State has begun to attack us from all sides. The Obama administration has rolled out its new Corporate Average Fuel Economy (CAFE) standards — requirements that will eventually cost Americans as much as $11,000 more per car. The new standards, which are opposed by Mitt Romney, would boost automobile fuel standards from 29.7 miles per gallon now to 35.5 in 2016, then to 54.5 in 2025. “These fuel standards represent the single most important step we’ve ever taken to reduce our dependence on foreign oil,” President Barack Obama said. CAFE requires automakers to calculate average fuel economy for all the cars in their fleets. That means large vans and SUVs that get poor mileage must be offset by high-mpg sedans, electric cars and hybrids. But a new report by the Republican House Committee on Government Oversight and Reform cited emails showing that the CAFE agreements were negotiated behind closed doors with a small group of automakers, in violation of the Administrative Procedures Act. Consumers, however, are likely to regard cost. According to the Center for Automotive Research, the price of a car will increase by $4,000 to $11,000 by 2025 compared to 2008 prices. As a result, fewer people will buy new cars and the automobile industry will suffer, while prices for used cars are likely to rise. Furchtgott-Roth points out that with the higher car prices, Americans will keep their old cars longer, and old cars generally produce more tailpipe emissions. “If energy security is the rationale for CAFE standards, America needs to increase production of domestic oil, gas, and coal, invest in more refinery capacity, and build nuclear power plants,” she adds.